Newly redecorated and refreshed with updated bathroom! 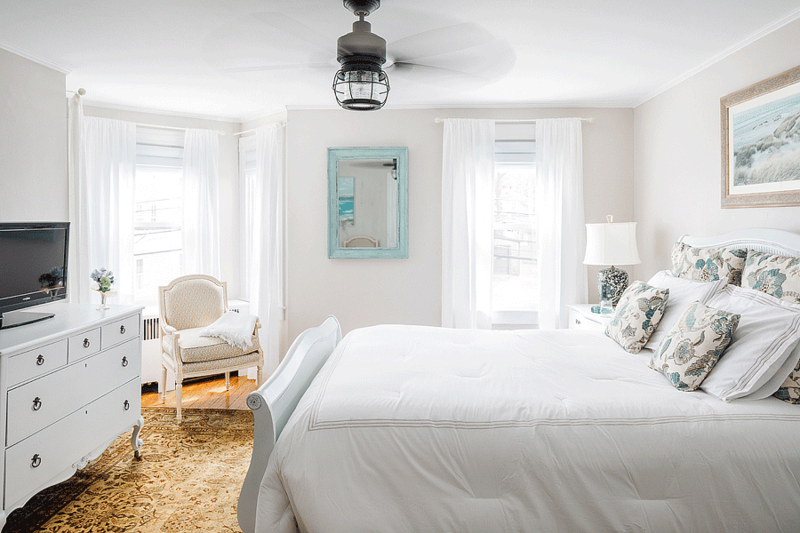 This is our largest room, bathed in sunlight with a view of Narragansett Bay from the king-sized bed. This premiere room is finished in warm taupe colors and has a sitting area with two custom feather stuffed chairs. The en-suite bath features a heated tile floor for your comfort.